We all love free stuff, right? I mean who doesn’t love free? Do you remember that favorite thing that you got for free? Do you remember buying your first car or owning your first home? Chances are those memories are vivid. I remember buying my first car when I was 20. I bought a brand new Saturn Wagon (back when Saturn was actually Saturn). My husband and I bought a wagon because we had two big Rottweilers and needed a larger vehicle, but didn’t want to buy a van. I remember them washing it, and pulling it into the “presentation area” where we got our picture taken with it. I was terrified as I pulled off the lot and we headed off to our favorite Mexican Restaurant. The memory is so vivid I can almost smell the smells of the new car and taste the chimichanga. On the other hand, we don’t remember free stuff very well, because, in most cases it is pretty meaningless. We take free stuff for granted. I mean he likes the free dog treats and the free food, but he doesn’t spend time thinking about it. And, we as dog owners feel we must provide him with these “free” things because we love him. I mean… it would be horrific to make him WORK for something. So when you say that your dog isn’t treat motivated, or toy motivated or food motivated… I can’t help but wonder how much “free” stuff he gets? I mean, it probably isn’t exciting because he gets all of his needs met all the time WITHOUT having to listen to you. So why then, would he bother to listen to you for the same rewards? Often times I suggest skipping a meal or two for the dog. I know, again, that sounds horrific. I’m not suggesting that you tie him to a tree and never feed him again. I am simply suggesting that the food begins to have more meaning to him. I’m not motivated by a piece of cake after I have been to the buffet but I am motivated by a piece of cake if I am hungry. You just need to make him a little hungry, I promise it won’t hurt him too bad! Also, it should be noted he wants to work. There are days I don’t want to work, but most dogs have a great work ethic! They never want to retire! 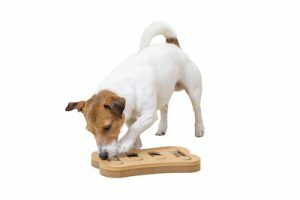 Use the things your dog loves to your advantage, control them, control the dog! I don’t believe in free stuff at my house!